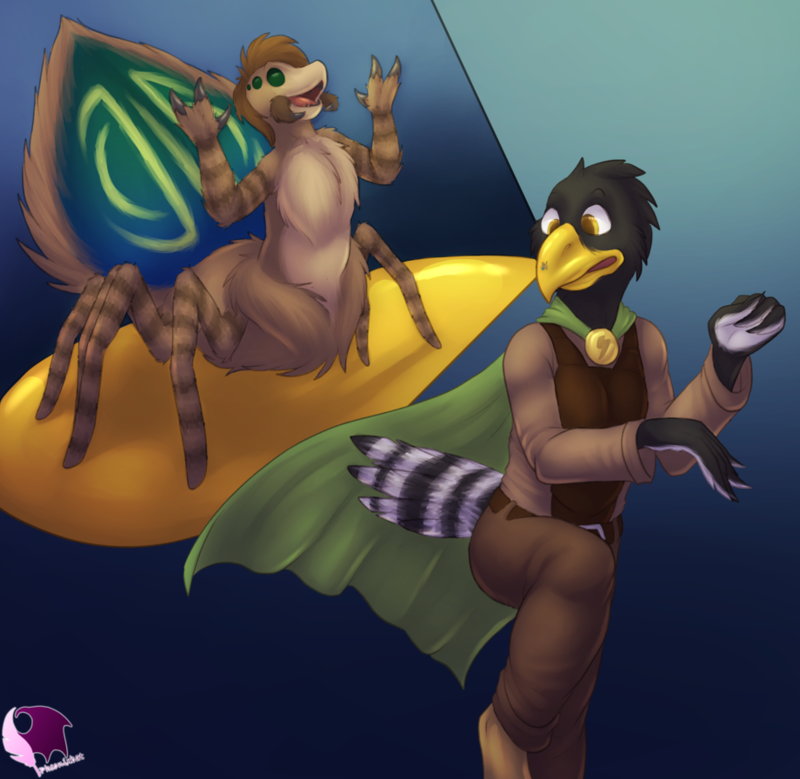 A picture with my ol' peacock spider drider and http://www.furaffinity.net/user/barbossa cuz he LOVES spiders! Awe! It's an adorable Peacock Spider! They're so cute and tiny! I wish they were big enough to keep as pets. I sometimes keep the awesome black jumping spiders around here as pets, they look like little fluffy tarantulas. It would be so cool if they grew that big.